Family Camp introduces Cubs to the overnight camp experience in the comfort of their family or den, at an age when they still think that’s a good thing. Weekend camps begin Friday night and extend through Sunday morning and are open to the whole family. We offer a Family Camp weekend every April, and again in July! Join us for our kick-off Cub Scout camping event at Indian Mound Reservation, located near Milwaukee, WI. A fully planned program full of essential Cub Scout experiences awaits your scout and your family: from archery to rock climbing, from campfires to sleeping under the stars (or in a cabin with a flush toilet for all our newbie campers), our Camporee promises fun for all ages. CHOOSE: Cabin Camping or Tent Camping to begin your registration! Sorry, late fees will not be waived. NOTE: All fees must be paid-in-full for each participant prior to the event. There is no deposit amount option to “hold spots” or when registering. 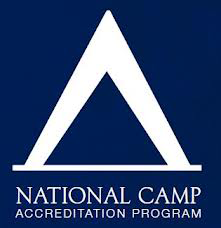 Please provide names of registrants, since they are required prior to your check-in at camp. Go to the Cub Scout Family Camporee @ IMR event page, then select either tent camping or cabin camping to begin your registration. This nearby weekend camp introduces Cub Scouts to the overnight camp experience. This program is rewarding for our Cub Scouts and even more so for their families, as they participate in unforgettable family activities together. Go to the Cub Scout Camps @ Oakarro 2019 event page, then select the Family Camp option. Note, you will also see links to the 3 sessions of Day Camp being offered at Oakarro.